Cat Ba Island is this heaven on Earth? 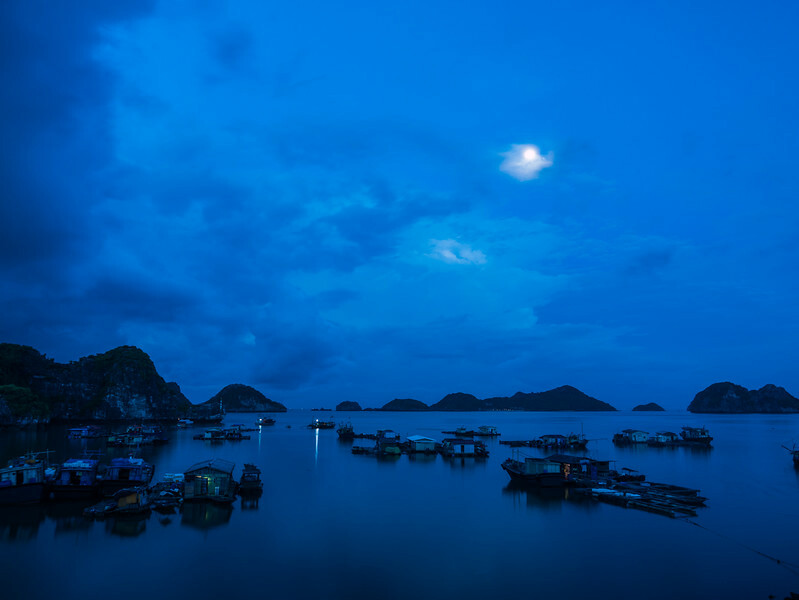 So far in my travel there are many places that are truly breath taking and Cat Ba Island is one of those places. I woke up for the sunrise but happens that the moon was full so I didn't miss this kind of opportunity. Enjoy!